dinner party: what's for dinner, deb perelman? 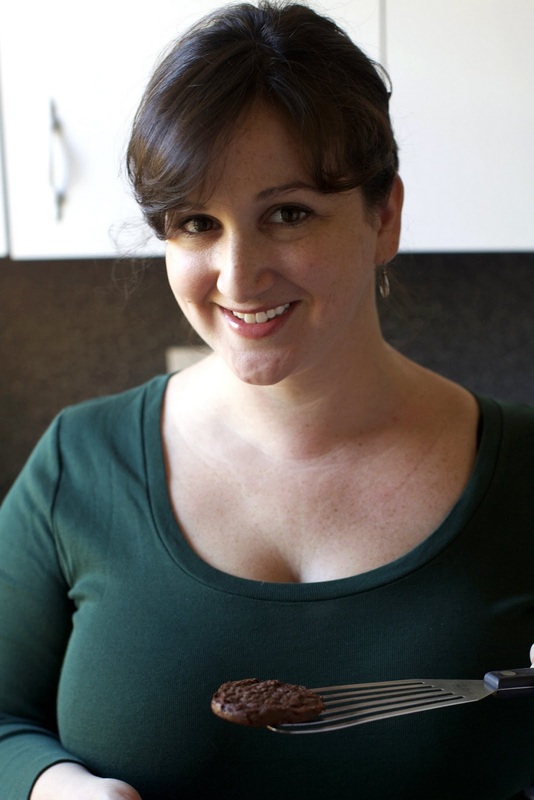 Does Deb Perelman, proprietress of Smitten Kitchen, need an introduction? If you read food blogs, it's a safe bet that you read and love hers. Smitten Kitchen is one of the most popular and highly regarded food sites not only for Deb's funny, down-to-earth voice and mouthwatering photographs, but for her ability to curate (and tweak) a constant stream of appealing recipes, from elaborate cakes to homey pastas. And she makes all of this beautiful food in a tiny New York City kitchen which is no small feat! Deb graciously took time away from her many projects (and her adorable young son) to talk about her entertaining philosophy. Hope you enjoy! A terribly long time ago, as we have a baby who goes to bed early and a small apartment. But I used to have people over all of the time, generally just a few of my friends who live in the city and can get together at the last minute, often on a weekday night, and usually because I made too much lasagna again. My two favorites are Julia Child's Moules a la Mariniere and baked pommes frites with a big green salad, crusty bread and dense chocolate brownies for dessert and this onion tart with mustard and fennel and Susanne Goin's ridiculously amazing braised short ribs with swiss chard, a potato puree and horseradish cream sauce. And a ridiculous amount of wine. I am picky about wine. I know what I like -- I'm especially fond of New York's North Fork wines and wish I could find them on more wine lists in the city -- but I sort of hate the "wine roulette", as I call it, of the odds of getting what you think you will when you order a glass out (and even if you do, if it's not lukewarm or been open for ages). Because of this, I've become more of a beer person when I'm out. A bottle of great beer will always taste like that bottle of great beer. And I get misty-eyed over a perfect Manhattan cocktail. Something unexpected: Beastie Boys with some 1970s-era Aerosmith plus some Duke Ellington and Patsy Cline. I want a surprise. Whatever I was already making. Okay, that sounds terrible, but these days, while working on my cookbook and website, there's always something cooking and a shortage of mouths to eat it up. Obviously, it's time to get back to having more dinner parties. By myself. I've never learned to delegate anything but dishes. Nor have I never had a kitchen that comfortably fit more than one person. Something is always store-bought. I love to cook but I'm not a martyr. If I'm having people over, I like to focus on one big ta-da and maybe a couple of sides and let New York City, and it's awesome range of resources, do the rest: Murray's for cheese, Balthazar for bread, an Italian market for olives, and so on. I am happy to "outsource" the filling out of a meal, so I don't look harried, exhausted and miserable by the time friends arrive for what was supposed to be a good time. Something compact. If you're going to do short ribs and soup and appetizers and sides for dinner, without a doubt, people will be glutted by the time dessert rolls around. I'm the kind of person who needs something sweet at the end of a meal, but I don't need a lot of it: small cookies, like Dorie Greenspan's incredible, now-classic World Peace Cookies or something fun, like Salted Brown Butter Rice Krispy Treats, cut tiny. If it's more of a long afternoon thing, like friends watching a football game, I love this caramel cake or homemade oreos. Or doughnut holes. My kid? Okay, that's weird but he goes to bed really, really early these days so we've yet to experience many family dinners. Everyone loves a bottle-swigging, belching, belly-laugher at the table, right? Great interview...I love her blog and have never had the opportunity to read about her before. And now I'm craving the stupid rice krispie treats again. I just ate half the pan last week - thanks a lot, Deb and Lisa! "Everyone loves a bottle-swigging, belching, belly-laugher..."
Are we still talking about the Beastie Boys? Tender Branson: Thanks! Glad you enjoyed. Casey: Ha! Yes, for some reason Deb's site always gets me in trouble too. What a great post! I might have to start referring to myself as a dilettante as well.